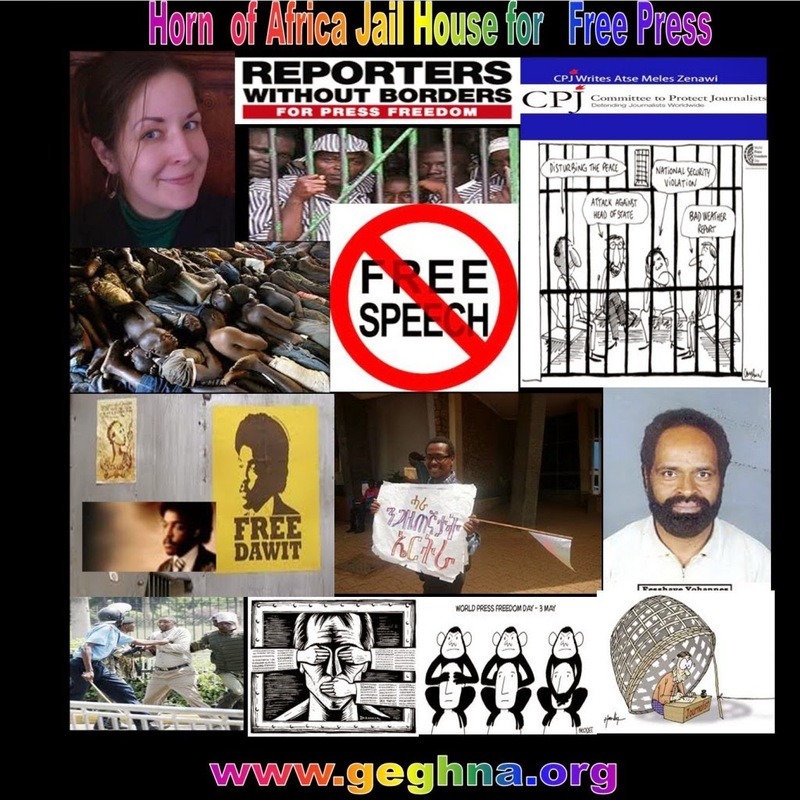 Nairobi, September 1, 2013--The decision by authorities at Kality Prison to impose visitor restrictions on imprisoned journalist Reeyot Alemu constitutes harassment and runs counter to the Ethiopian constitution, the Committee to Protect Journalists said today. "We call upon the Ethiopian authorities to lift these latest restrictions and allow Reeyot Alemu to receive all visitors," said CPJ East Africa Consultant Tom Rhodes. "She is a journalist, not a criminal, and should not be behind bars." Reeyot, a critical columnist of the banned private weeklyFeteh, began a hunger strike on Wednesday to protest an order by Kality Prison officials to turn in a list of visitors, according to local journalists andnews reports. The officials did not provide an explanation for the request. In retaliation for the hunger strike, authorities forbade her from having any visitors excluding her parents and priest, local journalists said. Two days later, prison officials said she could receive any visitors except for her younger sister and her fiancé, journalist Sileshi Hagos, the sources said. Sileshi was detained for four hours at the prison later that day when he attempted to visit Reeyot. Reeyot stopped the hunger strike on Sunday, but decided not to receive any visitors until the restrictions on her fiancé and sister are lifted. The journalist is serving a 14-year prison term on vague terrorism charges that was reduced in August 2012 to five years on appeal. It was not immediately clear whether the visitor restrictions were in connection with anarticle published by the International Women's Media Foundation last month that had been written by Reeyot. It is also unclear if the journalist wrote the letter from prison or if this was a translation of an earlier story. In the article, Reeyot criticizes Ethiopia's anti-terrorism law, an overbroad legislation that was used to jail and convict her for her critical coverage of the government. Kality Prison Director Abraham Wolde-Aregay did not respond to CPJ's calls and text messages for comment. Desalegn Teresa, a spokesman for Ethiopia's Ministry of Justice, did not return CPJ's call for comment. The denial of rights to Reeyot runs counter to the Ethiopian Constitution, which states: "All persons shall have the opportunity to communicate with, and to be visited by, their spouses or partners, relatives and friends, religious counselors, lawyers and medical practitioners." In a December 2003 report, the United Nations Special Rapporteur on torture and other cruel, inhuman or degrading treatment or punishment stated that prisoners should be "permitted to have contact with, and receive regular visits from, their relatives, lawyers and doctors. "The same report stated that "access to the outside world can only be denied on reasonable conditions and restrictions as specified by law or lawful regulations." This is the second time in six months that the prison administration has put pressure on Reeyot, according to CPJ research. In March, officials threatened to put Reeyot in solitary confinement, according to sources close to her who spoke on condition of anonymity. Officials accused the journalist of indiscipline, according to news reports, a charge she denied. In a report issued the same month, the United Nations Special Rapporteur determined that the rights of Reeyot under the UN Convention against Torture had been violated on account of the Ethiopian government's failure to respond to allegations of her ill-treatment. Reeyot had complained of mistreatment, and her health had deteriorated while she was held incommunicado in pre-trial detention, reports said.